Sleep is an essential part of life. In fact, it is so important that the average human spends ⅓ of their life asleep. Your body needs this time to repair and replenish itself and prepare for the next day of physical and emotional strain. However, many people don’t give their sleep quality the attention it deserves and are running on empty because they’ve been unable to get a good nights rest. We have all fallen victim to nights of restlessness at some point. Maybe it’s because you’re thinking about that never-ending to-do list or an upcoming meeting at work. Or maybe you just can’t get comfortable, and you feel full of energy or had one cup of coffee too many. Regardless, the occasional bout of insomnia isn’t the end of the world. 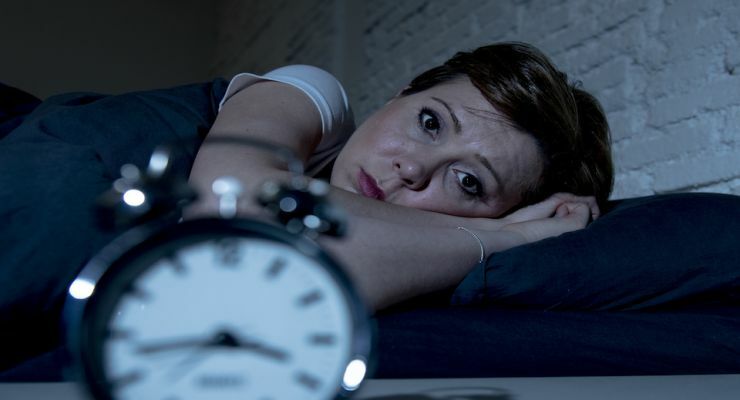 However, consistent nights of poor sleep will catch up to you eventually, and it is important that you take steps other than counting sheep to remedy your sleeplessness. Keep in mind that sleeping pills should only be used as an absolute last resort as they are incredibly strong and your body can quickly begin to rely on them for sleep. They should never be taken for more than a few weeks at a time. Consult with your doctor if you are experiencing prolonged periods of interrupted or hindered sleep. Though it seems like journaling is the solution to everything, there is actually scientific research backing up the importance of writing out the positive aspects of your day. Allowing your mind time to wind down and process the events of the previous hours can help you stay grateful and put in a good state of mind for a night of sound rest. The act of preparing and drinking this soothing tea already helps calm you down and make you sleepy, but it has also been proven that chamomile tea possesses compounds that may help reduce anxiety and insomnia. Often, the root of insomnia is physical and not mental. Stretching your muscles or performing gentle, relaxing yoga before bed lowers your heart rate and can help tire out your body. Avoid any exercise of intense difficulty right before trying to sleep, as this may actually have the opposite effect. If possible, try going to bed and getting up at the same time every day. This will start to train your body to expect sleep and will place your internal clock on a regular schedule. Being woken up in the middle of the night and trying to fall back asleep is often a matter of great difficulty. If the source of your insomnia is external, such as noises from outdoors, dogs barking, or your partner moving in bed, it may be helpful to sleep in a comfortable pair of earplugs along with a soft blindfold or eye mask. Be sure that you still can hear your alarm clock in the morning or have someone to wake you up. Start going through an orderly series of actions that will help indicate to your body that it’s time to wind down and prepare for bed. For instance, things like washing your face, listening to soothing music or white noise and reading a chapter from your favorite book. Eventually, if you stick with it long enough, these things will become a habit, and you will learn to look forward to your evening routine. The bedroom should not be a place for working or checking the news or anything else that may increase tension levels. Make your bedroom an electronic free sanctuary and avoid plugging your phone in by the bed. This will help deter you from checking it when you’re awake in the middle of the night. If you find yourself frequently waking up during the night and being unable to fall asleep for 20 minutes or more, it is a good idea to go to another room and focus on a different activity other than trying to go back to sleep. Make a cup of tea or read a book for a while, but avoid electronic devices like your phone or the tv. If you’ve been laying in bed for hours trying to fall asleep, you will just become frustrated which only makes the insomnia worse. Hey Buddy!, I found this information for you: "How to Sleep The Whole Night Through (and why you should)". Here is the website link: https://www.tropicalhealth.com/sleep-whole-night-through-why-you-should/. Thank you.